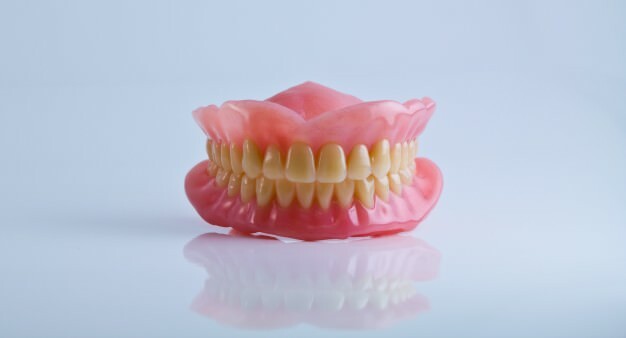 For many years, the word denture and the word comfort would never be associated together in a positive way. Yet, more and more dentists are prescribing the innovative Valplast Flexible Partial Dentures because their unique design demonstrates strength, flexibility, and comfort—yes, comfort! Surprising to some, Valplast is not a new material. Rather, it is the result of numerous experiments of the late 1940’s by two brothers seeking a partial denture polymer that would fulfill the primary requirements of retention, stability, and support, while providing some aesthetic benefit. Today, Valplast Flexible Partials are a highly regarded method for replacing missing teeth, and are well suited for a variety of conditions. While the future continues to move in the direction of metal-free restorations, patients report that Valplast feels natural, when compared to fixed dentures. Thus, it is comfortable to wear, and the flexible material allows for natural functioning, movement, eating and speaking. In turn, it provides support for the entire ridge of the upper mouth, instead of fixed points. This has resulted in less need for denture relines and repairs. Lastly, the flexibility of Valplast Partials allows for adjustability, so that each patient can ensure a perfect fit. Aside from the comfort and flexibility of Valplast, it is fabricated in 5 natural shades, and has become an effective biocompatible replacement for acrylic partials when patients experience irritation. Yet, the versatility of Valplast continues as it is used for cosmetic gum veneers, dental appliances, implant retained overdentures, and full dentures for patients with complex cases. For patients with allergies to acrylic materials or with a mouth shape that does not comply with a rigid denture restoration, the thermoplastic nylon material of Valplast Partials is an exciting and naturally appealing option. Perhaps you think that your teeth are too small or too short, or maybe you are looking for a natural and flexible solution to replace your missing teeth. At Smile Avenue Family Dentistry, we believe that Valplast Partial Dentures can give you the confidence and assurance you need to smile again. To set up your consultation, call today!